I have chosen HUNDREDS of titles from Book Lust , yet it still constantly presents a multitude of new suggestions each time I pick it up. There are probably thousands of recommendations within the book! Pearl peppers Book Lust with several obscure, unique and intriguing categories; such as Black Humor, Books about Books, Elvis on my Mind, New Orleans, and Techno-Thrillers...it really is hard to single out just a few because all the categories are amazing. Pearl also features sections showcasing specific authors; such as Ian McEwan, Connie Willis, and Hamilton Basso, just to name a few. It will be nearly impossible for you to pick up this title and not walk away with some great ideas for your book wish list. I am proud to say I've discovered some new favorite books through Book Lust that I'll never forget such as Miss Lizzie by Walter Satterthwait, as well as some not-so-good titles like The Lecturer's Tale by James Hynes. 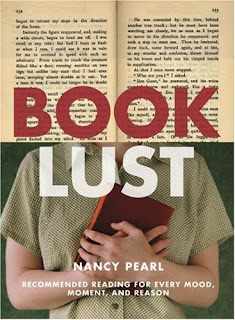 Book lovers MUST pick up a copy of Book Lust if you haven't already! You're really missing out!